My name is Virginia Prodan. I’m a Speaker - Author at Tyndale - International Human Rights Attorney - Victory Coach. I am also an Allied Attorney with the Alliance Defending Freedom. I had literally faced my assassin and have lived to tell about it. I am passionate about mentoring others to stand up to their giants and create a courageous, purpose-filled, and abundant life. Saving My Assassin is a captivating and an incredible book that every American will want to read. It is a book full of wonderful and great lessons about freedom and courage. It will inspire you to learn how to keep America free. From the introduction on, you’ll be hooked. 5.0 out of 5 starsA Memoir Worth Reading By Danion May 22, 2016 Format: Paperback Saving My Assassin is Virginia Prodan's story of working as a Christian attorney in Communist Romania. Growing up, Virginia endured extreme mistreatment from her mother, but this paled in comparison to the trials she would face as an adult. When Virginia was young, she had a close encounter with the Securitate, Nicolae Ceausescu’s brutal Communist police officers, as she was entering a church. This experience left her fearful of the Communists, and she rarely returned to church after it. Upon graduating high school, Virginia took and passed all of the necessary exams to enter law school. Facing many struggles, Virginia pressed on and managed to graduate and get a job learning under another attorney. During this time, Virginia found faith in Christ and began to regularly attend church and read the Bible with her two young daughters at home. After becoming a Christian, Virginia began to take on cases defending Christians who have been unfairly arrested by the Securitate. Virginia won many cases, upsetting the Securitate and Ceausescu himself. Virginia is interrogated, beaten and ultimately, Ceausecu assigns a man to assassinate her. As the title suggests, Virginia shares the gospel with her assassin and leads him to Christ. Her struggles did not end after that night, however. Virginia faced many more months of persecution before she had a chance to escape it all. Saving My Assassin is a story of resilience and deeply strengthened faith in Christ. Virginia faced evil head on at the hands of wicked men, and she relied fully on Christ to give her strength. Regarding her struggles, Virginia writes: "I suppose none of us know how high we can jump until a skyscraper obstructs our way, how fast we can run until a lion chases us, the value of our freedom until confinement restricts our movements, or how precious hope is until someone shatters our dreams." Saving My Assassin will encourage Christians to keep growing in Christ, and to rely on Him through every trial and triumph. Virginia endured unrelenting evil, yet she clung to Christ in the midst of it all. This is a memoir everyone should dig into. I received a copy of this book from Tyndale House Publishers in exchange for an honest review. All opinions are my own. A debut memoir recounts a lawyer’s courageous stand for religious freedom in Romania. As a little girl, Prodan, now an international human rights attorney, always felt painfully set apart; her red hair and freckles distinguished her from the remainder of her family, and her mother, Elena, treated her cruelly. She was raised in Techirghiol, a small town ravaged by poverty, like so much of Romania suffering under the Communist dictatorship of Nicolae Ceaușescu. She found a reprieve from the bleakness of her environs by devouring literature and later decided, as a partisan of justice and truth, to become an attorney. The author traveled to Bucharest to take her law school admissions exams and stayed with her affectionate Aunt Cassandra, who bore such a striking resemblance to her that Cassandra was often mistaken for her mother. At the time, Prodan considered the possibility that Cassandra was, in fact, her mother, although it remained unclear why Elena assumed the role, however coldly. Eventually, Prodan became a practicing attorney, married her first boyfriend from law school, and gave birth to two daughters. After years of feeling lost amid relatives, she finally found a home among a family of her own creation. But she discovered a deeper sense of peace in religion and started defending clients whose constitutional rights to religious expression were systematically denied by the government. The author’s efforts to catch the attention of the U.S. government, under the tutelage of President Ronald Reagan, caused the Ceaușescu administration to intensify its efforts to stymie her activism. Prodan was forced to risk her life, and the lives of her family, to maintain her religious and political convictions. The author paints a vividly disturbing tableau of the brutality of Romanian Communism and the chilling manner in which Ceaușescu feigned political liberality to the world while practicing totalitarianism at home. While it’s a memoir written in the first person, the book reads like a suspenseful thriller that also thoughtfully reflects on the moral value of freedom. At times, Prodan’s prose flirts with melodrama, and there are few moments of lightheartedness to leaven the book’s gloomy tone, but this remains a potent indictment of autocracy and a searing testament to human courage. A powerful personal remembrance about the search for God amid communist intolerance. Saving My Assassin by Virginia Prodan savingmyassassin Reviewed by: Caitlin Anderson Genre: Memoir Publisher: Tyndale Publication Date: June 2, 2016 It’s not every day that you meet your assassin. 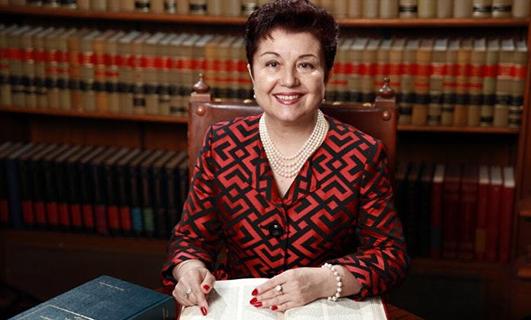 Romanian lawyer Virginia Prodan met hers and lived to tell the story. And oh, what a story! Prodan grew up Romania during the communist era of Nicolae Ceausescu. While her family was in good standing with the government, she was always on the outskirts of grace, trying to understand why her family was ashamed of her and her red hair. This led her on a dangerous pursuit of truth. As Prodan tells her story, you can sense the deep longing for truth and the tenacity to defend it. She tells of finding out the truth of her origin, the secrets and shame that had been covered up, and how the answers came from the most unexpected places. Her search for truth introduces her to the Truth of Jesus, one of the most dangerous things in Romania. She becomes a follower of Jesus, knowing that it will likely cost her everything. And it does. She tells of kidnappings, house arrests, and meeting her assassin. Of secret churches, smuggling the truth, and being starved in her own home. And what did she do to deserve all this? She uses the law to defend persecuted Christians. She becomes an enemy of the state. I couldn’t put Prodan’s story down. I spent a few months in Romania and was able to see the lingering stronghold of Ceausescu’s government. I had spent time in churches, worshipping with people who had experienced persecution. I wondered if I had met some of the people Prodan had helped save. This is a book that I hope all Christians read. In America, we tend to mistake discomfort or social slights for persecution. Virginia Prodan’s story reminds of what persecution really looks like and why we need to be willing to stand up against it. Rating PG-13: While not graphic, heavy elements of beatings, kidnappings, and persecution play a major part of this story. Reviewer’s copy was provided by the Publisher. Thank you! 5.0 out of 5 stars BEST BOOK I HAVE READ IN YEARS By Amazon Customer on May 31, 2016 Wow! I am speechless. I just completed reading Virginia Prodan's book, SAVING MY ASSASSIN. I could NOT put it down. I just called several family members and friends to tell them how Virginia's book unlocked so many thoughts and feelings for me. Virginia Prodan's life story needs to be shared with the world. Definitely deserves a five star rating. Liberals and Conservatives, both, could benefit from this look back into history. The assassin's words were reminiscent of what many are being promised today: "The governement provided everything for me free of charge--a fully furnished house, clothes, luxurious vacations, money, women, and power"..........Only looking back did the Assassin see what a high price he had to pay. Epic. Emotional. Riveting. Inspiring. Exhilarating. With my wife out of town and my kids at school, my day off presented the opportunity for me to get in an hour of reading before knocking out some miscellaneous projects. I was instantly captivated by “Saving My Assassin” and didn’t get up from the couch until it was time to pick up my kids from school several hours later. In fact, I finished by the next day. That’s how good this book is! To date, I have read eighteen books this year and “Saving My Assassin" is the first book that I absolutely could not put down! My heart hurt while reading about Virginia Prodan’s childhood upbringing. My heart raced while reading about her encounters with communist agents. My heart swelled while reading about her courage in the courtroom. My heart pounded while reading about her interrogations by assassins. My heart expanded while reading about her genuine love for her enemies. My heart rejoiced while reading about her unshakable faith and ultimate victory. This epic story will feed your soul, fuel our faith, and flat-out fire you up to live what you believe. The courage it took for Virginia Prodan to faithfully stand for Christ can only come from the One she served unabashedly. 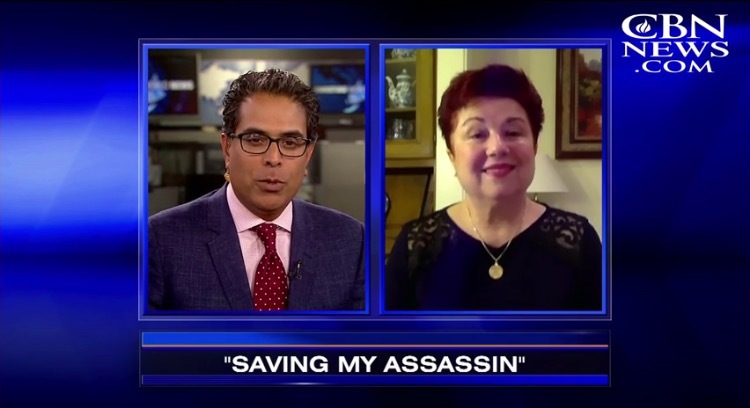 Saving My Assassin, the memoir of Mrs. Prodan, is truly an incredible story of salvation, courage, fortitude and perseverance, all for the glory of Christ. Romania is a country that has been plagued by Communism for years, and this is the country Virginia grew up in. Through God's providence and so much hard work, she was able to become an attorney for this Communist state. She became a believer soon afterward and became a defense attorney for believers who had been arrested for their Christian beliefs and how their lives were lived because of it. She ended up being arrested herself. She went through agony, torture and almost death. But God had His mighty hand on her and wasn't done with the work she had for her to do. A couple of things struck me hard: 1. Each time Mrs. Prodan was in the valley of the shadow of death and facing extreme fear, the Word of God rolled off her lips and in her heart. His Word is what sustained her. This reminds me of how important Scripture memory is. At some point we may not have the unlimited access to our most prized possession and we must have it hidden away where no one can take it from. 2. There were so many times that the Communist Security and prosecution would say that the country's constitution meant nothing. That they could override it. This concept in hitting home way closer than I would have ever thought possible. I believe books like this will be a source of encouragement in the days to come in America in more ways than the author may have ever thought possible. Her story will invigorate us to stand for truth. For the one who is TRUTH! As a part of the Tyndale blogging Network, I received a free copy of this book. I really love this book and feel its one of the best ones I read so far this year. As soon as I received it I planned on reading for about thirty minutes. Meanwhile I was still reading it three hours later. It was such an interesting book. Its about a lady named Virginia and her life experiences in communist Romania. She discusses all the hardships she experienced in life. She also talks in great detail about wonderful things that occur. She shows how God has helped her so many times in her life. I enjoyed this book and think its a great read for all adults and older teens. I received this book free from Tyndale Publishing in exchange for my honest opinion.